The Karman LT-2019 is an ultra-lightweight transport wheelchair with fixed, full-length armrests. The frame easily folds and weighs only 19 lbs. so travel and storage is never a problem. 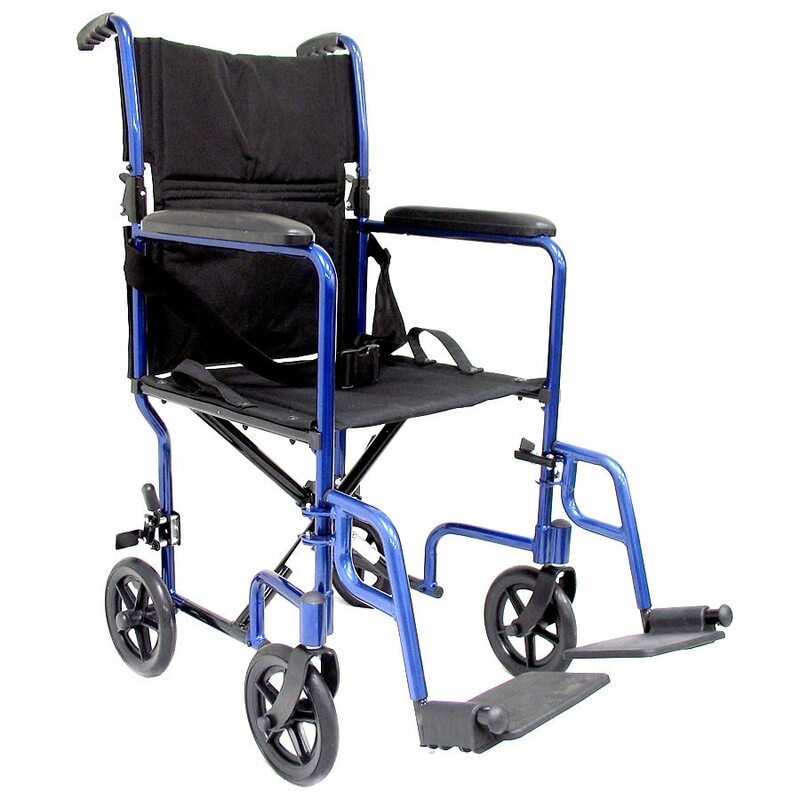 The breathable nylon upholstery is flame retardant and easy to clean and the 8" rubber casters make for a smooth roll on any surface.